We heard that little Gary Coleman has got a little problem on his hands. His wife, Shannon Price, apparently tried to give him some “Different Strokes”, upside his head! 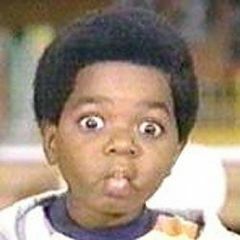 We’ve learned Gary Coleman, best known as Arnold, from the television series “Different Strokes”, wife was arrested last night for domestic violence and disorderly conduct in Santaquin, Utah where the couple has a home. According to the sheriff’s website, Shannon Price was booked for the two misdemeanors at 8:32 PM and then released on $1,205 bond. Cops tell us Shannon allegedly locked Coleman out of the house and proceeded to break everything in his bedroom but that he was not physically harmed.